Game Is On At The Great Park---Unveiling The Brand New Orange County Great Park Sports Complex! 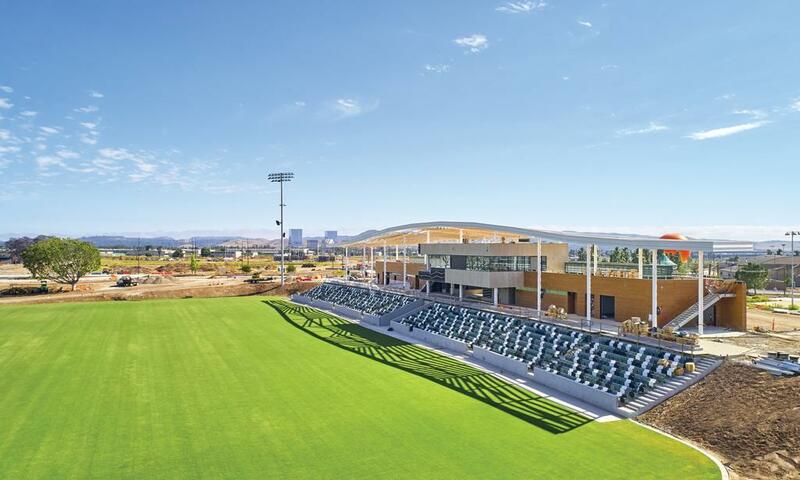 The new Sports Complex at the Orange County Great Park is being unfurled and it is an impressive cadre of venues for sports enthusiasts, amateur and professional tournament players and teams alike. The OC Great Park offers brand new, state-of-the-art facilities for soccer and will soon be adding the following to the line-up, including: lacrosse, baseball, softball, volleyball, tennis, hockey, speed and figure skating. A golf course will also be added in 2020/2021. The new 194 acre Sports Complex is quite impressive and is on track to become one of the largest public multi-sport facilities in California and among the largest in the United States. The new Ice Complex will be, by far, the largest in California. Let’s take a quick look at a few details and the timing of the new venues that will be included in this impressive Sports Complex. Championship Stadium is open now, and adding more fields for a total of 20 lighted fields with grass, benches for coaches/players and spectator viewing areas. The new facility is drawing players of all ages for youth and adult team practices, games, local, national and international tournaments and professional teams and club play as well. The Championship Soccer Stadium features seating for 2,500 spectators, locker rooms, training facilities, a box office, concession areas and an upper-level viewing deck. A total of 10 diamond fields are being built for both softball and baseball, as well as 2 Stadiums, and 5 flex-fields. They are scheduled to be available in August of 2018. A total of 25 lighted tennis courts, including a championship court with seating for 132 spectators, a conference room, a pro-shop and concession area. The Tennis Center has been created for kids&apos; camps, lessons, adult team workouts, leagues, match play and championship tournaments. The Brymer Lewis Tennis Academy is on-site as well. There are 5 sand courts including a Championship court with seating for 178 spectators surrounding a sand court. An impressive 270,000 square foot ice facility will be available featuring 3 NHL standard ice rinks and 1 Olympic size to include a 2,500 seat arena. This will be used for youth and adult hockey programs, as well as regional and national tournaments, speed skating and figure skating. 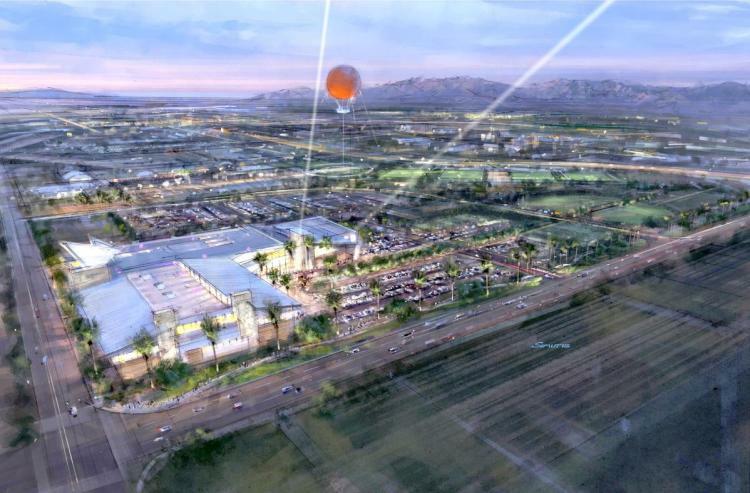 There will be a 188 acre golf course added at The OC Great Park. This will complement the four well-established 18-hole golf courses that are very close by. This includes: Oak Creek, Strawberry Farms, Rancho San Joaquin and Tustin Ranch Golf Courses. I recently sat down with Dave Lucey, Sales Manager with Destination Irvine, as he described for me the timing of the roll-out for this brand new Sports Complex. He and his team have already been hard at work and have already booked two substantial tournaments for 2018. One is the LA Galaxy Cup Youth Soccer Tournament in March. The LA Galaxy Cup was created to offer elite competition for Boys and Girls Development Academy teams. Some of the most renowned clubs from around the world will be here to compete. The OC Great Park was selected because it will features numerous soccer fields, a 2,500 seat soccer stadium and all in one location providing a premier playing and viewing experience for everyone involved. This includes: Deanna Manning Stadium with seating for 794 spectators, dugouts with attached bullpens, press box and announcer’s booth, scoreboard and adjustable fencing. There are 3 lighted softball diamonds, 3 lighted soccer overlay fields, 6 lighted tennis courts, 4 batting cages, amphitheater/stage, 2 concession stands and bicycle trails. This venue includes: low-impact HARO® wood floors, 21 regulation high school basketball courts, 22 regulation indoor volleyball courts, 21 regulation futsal courts, parking for 1,500 vehicles and an on-site restaurant that can accommodate 3,000 daily with 8 big screens for viewing. The world renowned center provides a “world class” venue for local, regional and national competitive events and features two 50 meter pools and a 25 yard instruction pool. 1) State-of-the-art new facilities at the OC Great Park and 30 other smaller venues throughout the city of Irvine. 2) Moderate weather which reduces the risk for postponement of games. 3) Irvine was voted “America’s Safest City” of its size for the 12th consecutive year, in 2017, according to the latest FBI statistics. 4) Hotel accommodations for every budget and a myriad of hotel types. 5) Major airport is ten minutes from The OC Great Park. 6) Excellent dining---including extensive global cuisine influences. 8) Beaches are just 20 minutes away. 9) Irvine offers a lower hotel per night occupancy tax of 10% vs. 17% in other cities. 10) Special incentive for booking a sports event with 25 or more contracted room nights booked as a group at one of Irvine’s 21 hotels. 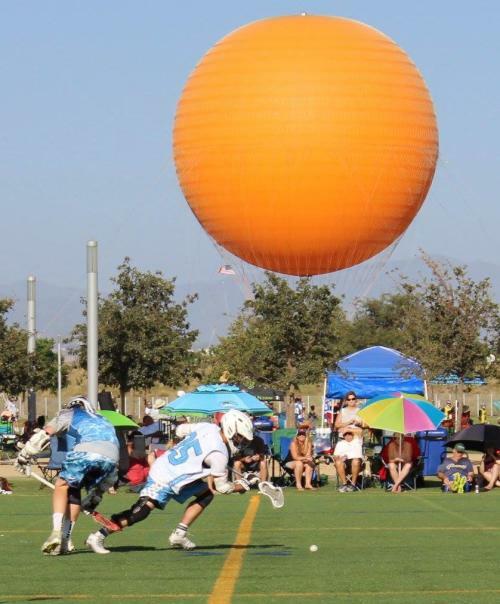 Those interested in booking tournaments and team play here at The OC Great Park can contact Dave Lucey, Sales Manager at Destination Irvine. He would be pleased so share with you the details on their “Fan-Tastic Incentives Program” which can be customized to your group. You can reach Dave at: (949) 502-4114 or dave@destinationirvine.com .